Rustico is one of the oldest communities established in "La Nouvelle Acadie" following the Treaty of Paris in 1763 and is the oldest Acadian settlement in Prince Edward Island. From this region many Acadians emigrated to other communities such as Bloomfield and St. Charles on Prince Edward Island, Rogersville, Saint-Paul and Acadieville in New Brunswick and Matapedia in Quebec. 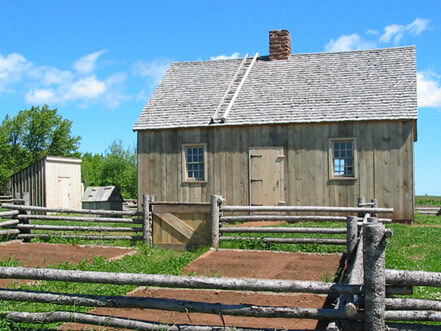 From the cradle of this contemporary "l'Acadie de l'île", bordering on Rustico Bay and the National Park of Prince Edward Island, visitors may see numerous buildings and dwellings which together serve as a legacy of the past and commemorate the determination and ingenuity of the Acadians. 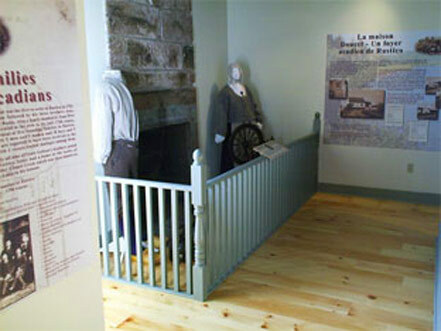 The Farmers' Bank of Rustico, a National Historic Site houses an exhibit of the Rustico Acadians. Enjoy the visit. A nominal fee is charged for a tour of the exhibit and a visit to the Doucet House. 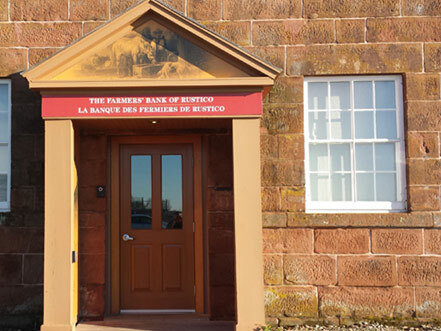 Please take a moment to visit the above information sections for The Farmers’ Bank of Rustico, Doucet House and the Genealogical Centre of Rustico Acadian Families for an outline of what each site has to offer, hours if operation and season-long events!